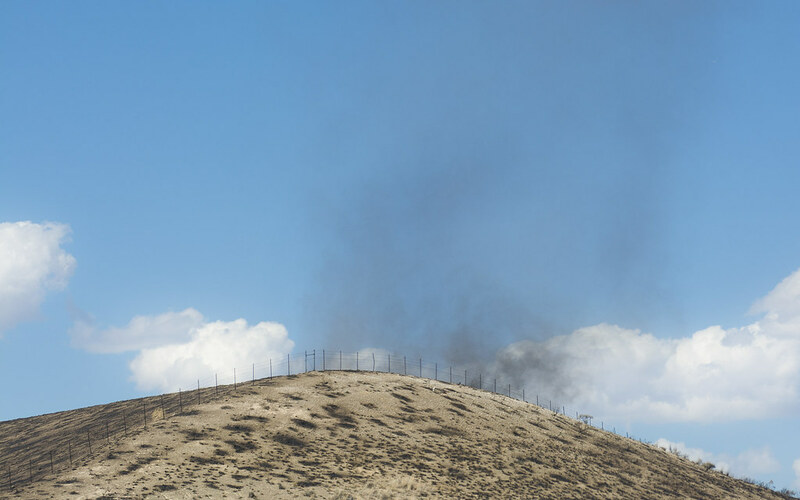 Fires in the dry, brush-filled country of the American West can be a serious problem. Driving along the Interstate, we saw the ash-carpeted remains of one. The wind whipped the fine particles into a vertical column at the crest of this hill.